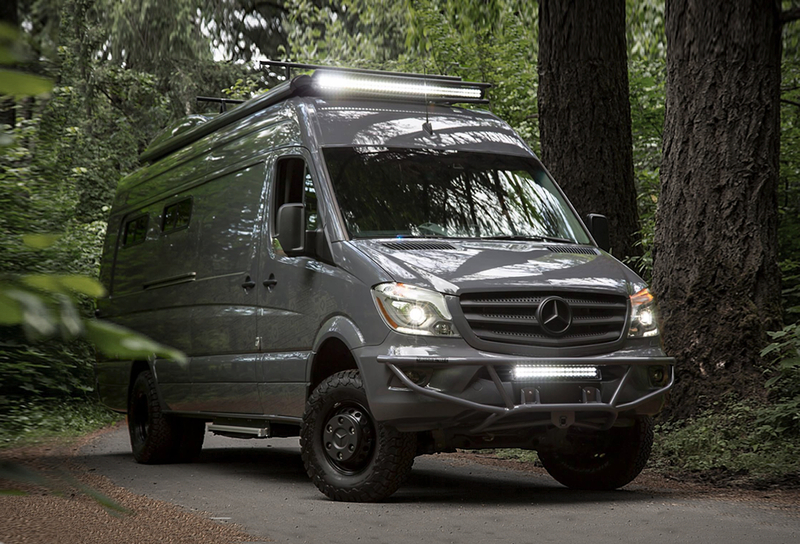 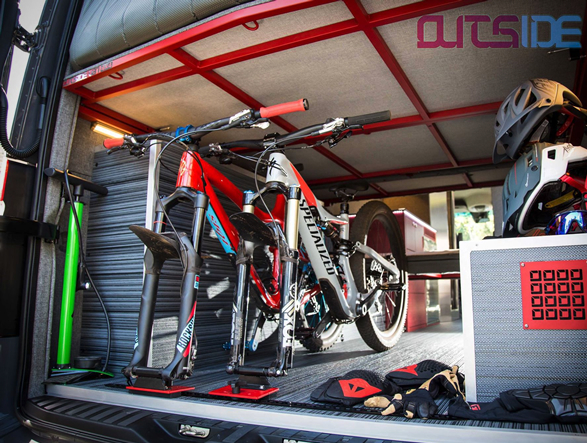 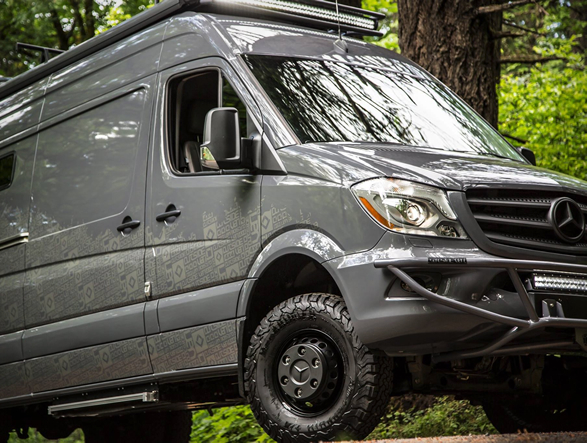 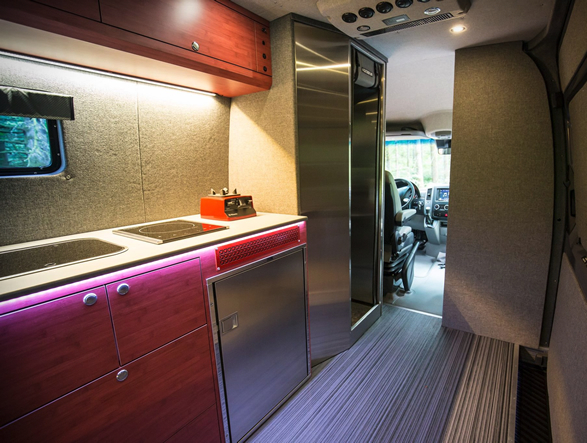 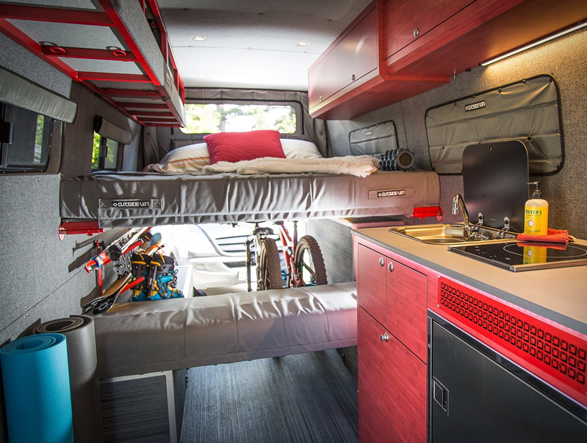 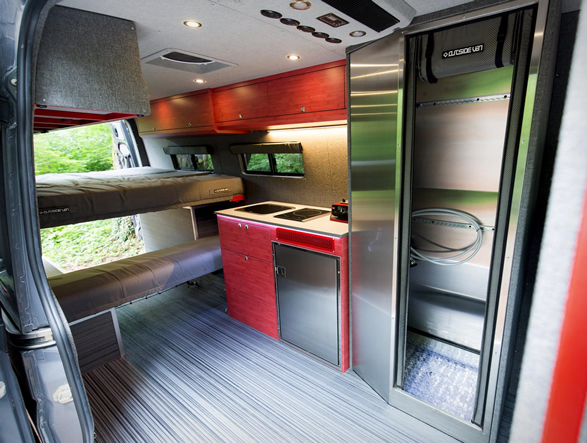 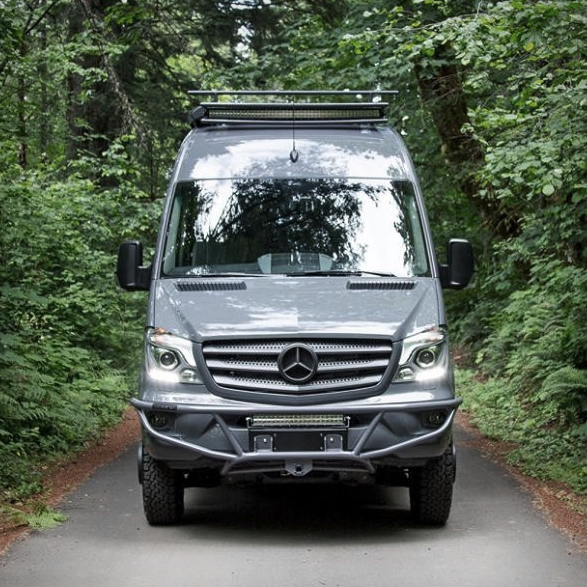 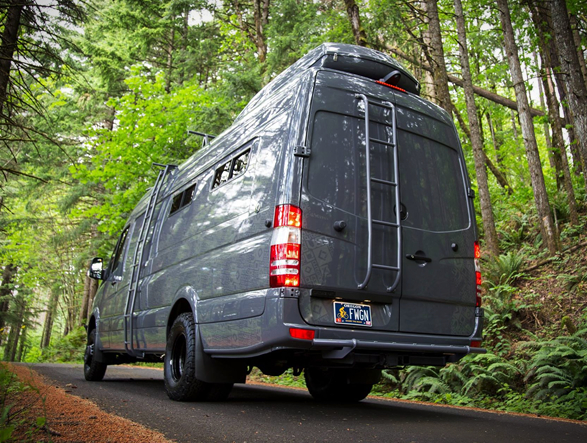 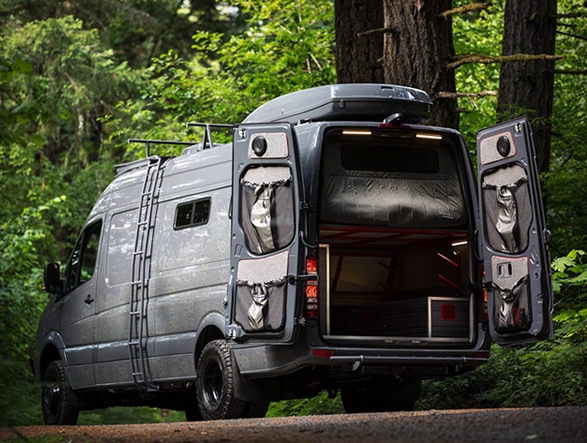 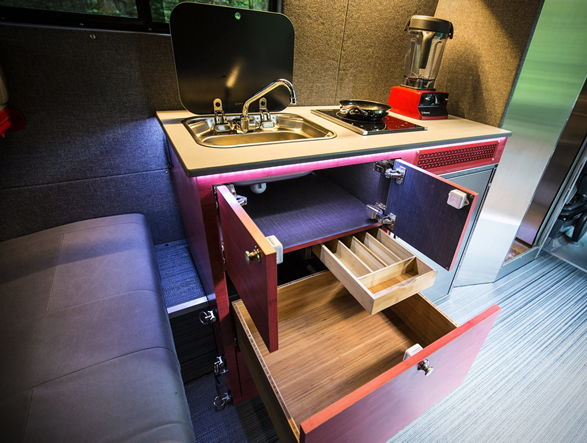 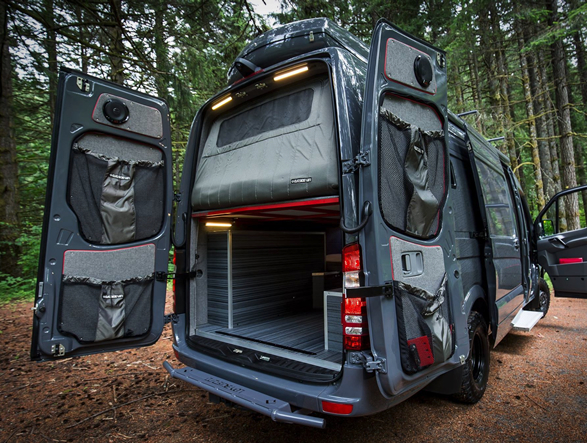 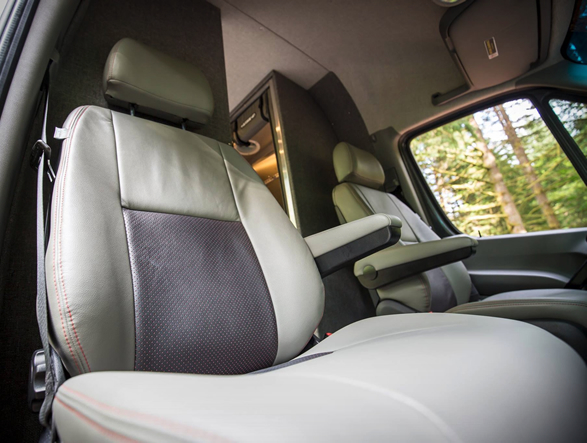 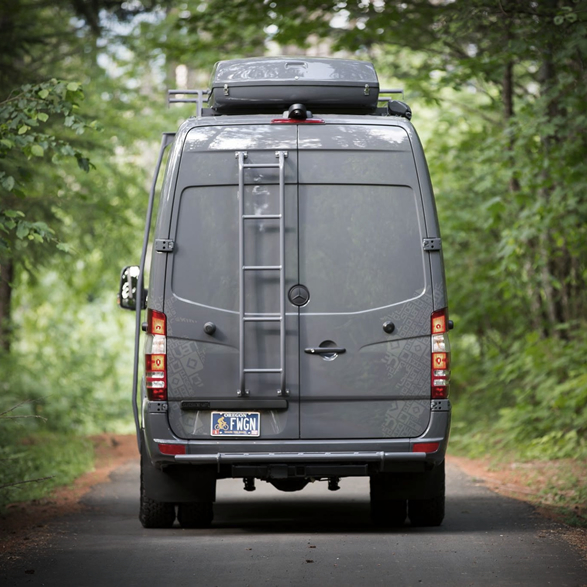 Portland-based Outside Van specialize in converting the Mercedes Sprinter into a drool-worthy, tricked-out camper van with loads of interior space for dedicated to hauling sports gear into and out of the wild. 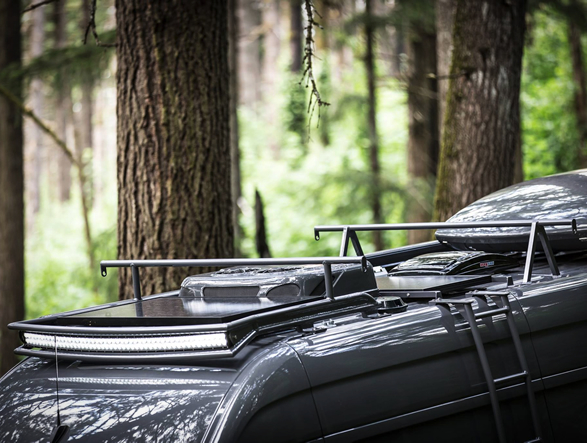 Designed for serious gear heads, the kitted out 4WD overlanding vehicle has some serious exterior upgrades to choose from, like a ruggedized pre-runner bumper, off-road LED light bars, gnarly tires, a rear ladder, and cross bars up top for hauling paddleboards and other gear. 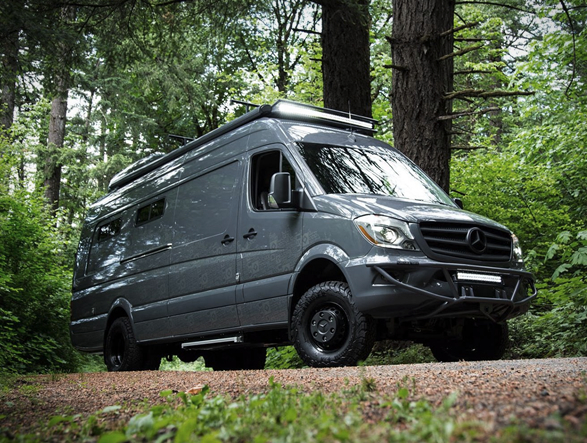 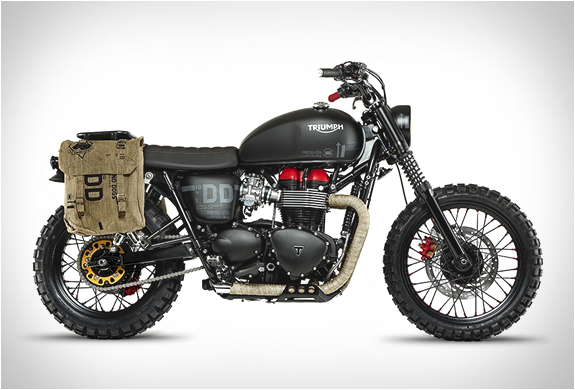 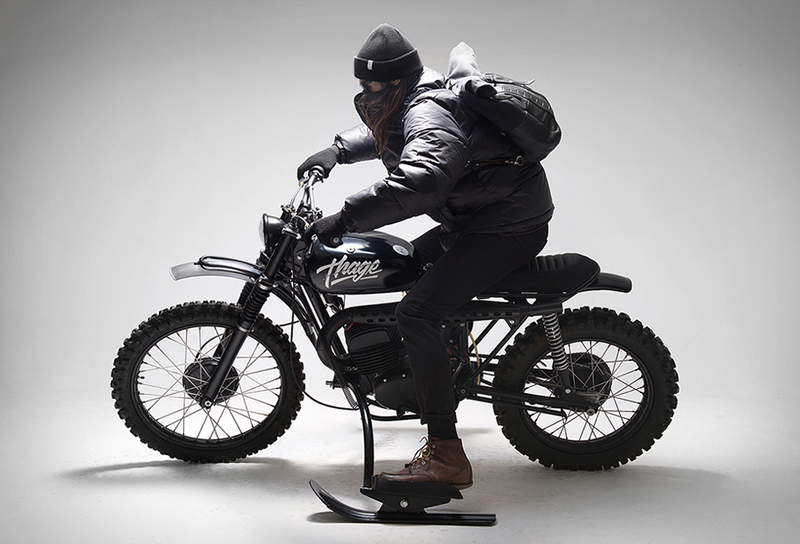 Perfect for a hiker, biker, skier, surfer, kiteboarder, full-time adventurer or weekend warrior who doesnt need all the weight and bulk of a fully equipped camper. 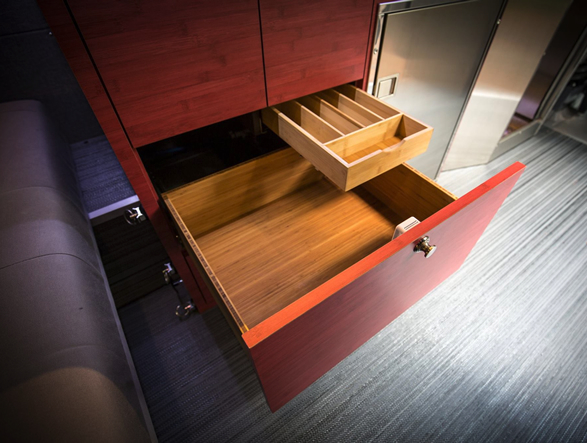 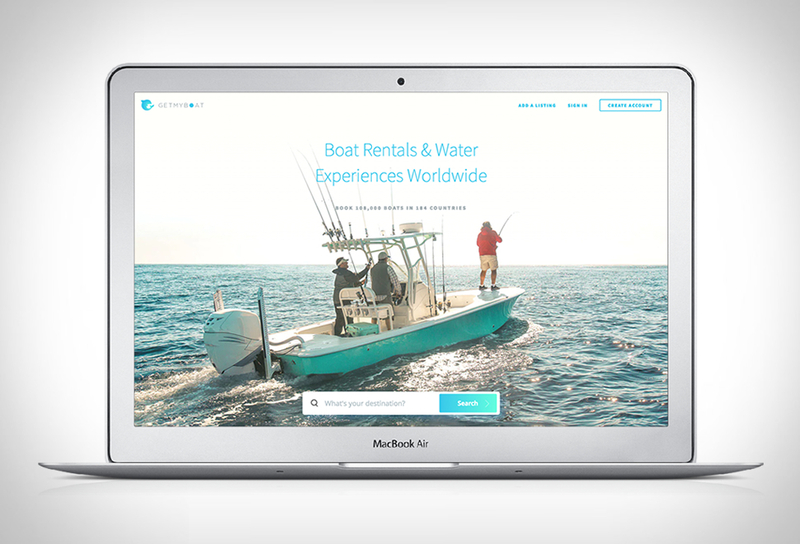 The company has a deep list of options and works to detail each project to the customers every need and whim.